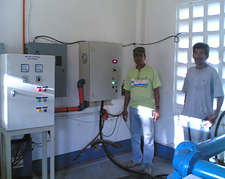 AuCom soft starters more reliable for Philippines water. 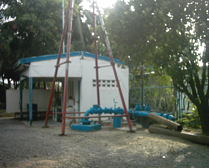 After several unsuccessful attempts at using soft starters on their pumping system in the past, Cabanatuan City Water District (CCWD) was reluctant to risk more interruption to their critical municipal water supply. However, a trial of AuCom soft starters proved so reliable that CCWD decided to invest in a long-term project to install AuCom starters throughout its infrastructure. AuCom’s representative in the Philippines, Asia Pacific Industrial Equipment Sales and Services (APIESS), introduced CCWD to CSXi soft starters in order to address water hammer and voltage disturbance. The CSXi solved these problems and proved highly reliable, and CCWD were so pleased with the excellent performance that they turned to APIESS to discuss soft starter options for several other installations. CCWD now has a combination of CSXi and EMX3 soft starters in several locations, and is a firm believer in the benefits of AuCom soft starters. CCWD has been impressed by AuCom’s well-balanced product range, with the CSXi offering a cost-effective option for simple applications and the EMX3 providing an ideal solution for more advanced applications. Using the EMX3, XLR‑8 late deceleration profile gives superior soft stopping performance, and the EMX3’s built-in protections have simplified the installation process. The extensive input and output options, plus the advanced monitoring functions of the EMX3, give CCWD all the information they need to manage their pumping network for maximum efficiency. AuCom soft starters have replaced older soft starters and star-delta starters at water distribution facilities throughout the city. XLR‑8 adaptive acceleration control soft stopping, built-in protections and advanced performance monitoring have improved performance throughout the system.